Brian Sjoerdinga, age 59, a resident of Plainfield, formerly of Boston, MA, New York City, NY, Phoenix, AZ, and Chicago, IL, passed away on January 16, 2019, after battling cancer. He was born February 2, 1959, in northwest Indiana. Beloved Fiance of Louise Vargo. Devoted Son of the Late Mary and Kenneth Locke. Fond friend of many. Brian grew up in northwest Indiana and began playing the saxophone at age 14. He graduated from Boone Grove High School in 1977. He entered Berklee College in May 1977 as a performance major, eventually changing his major to Jazz Composition and Arranging/Diploma. He studied there through 1980 and performed with the Berklee Concert Jazz Orchestra and the Berklee International Dues Band. He studied under Andy McGhee, Joe Viola, Richard Hermann, Greg Hopkins, Phil Wilson, Michael Gibbs, and Herb Pomeroy. In 1978 he joined the Stan Kenton Orchestra. He also taught Saxophone, Clarinet, and Flute at Center Music. In 1981 he joined the Tommy Dorsey Orchestra for two years and then joined the Buddy Rich Band for two years and the Artie Shaw Orchestra. He has worked with notables including Frank Sinatra, Frank Sinatra Jr., Tony Bennett, Johnny Mathis, Sarah Vaughan, Ella Fitzgerald, Mel Torme, Doc Severisen, Aretha Franklin, Rosemary Clooney, Lou Rawls, Donna Summer, Natalie Cole, Manhattan Transfer, The Temptations, The Four Tops, The Moody Blues, Bobby Caldwell, Barry Manilow, and many others. A jazz musician of considerable experience, he has led and recorded with his own groups and performed with Tom Harrell, Jon Faddis, Randy Brecker, Arturo Sandoval, Terrell Stafford, Jimmy Heath, Charles McPherson, Ira Sillivan, Jeffry Hamilton, and Benny Golson as well as many appearances with numerous local leaders. 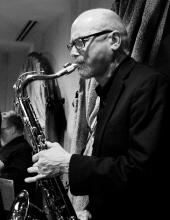 His Teaching experience included 4 years at Arizona State University’s Jazz Studies program where courses taught included Jazz Improvisation (Beginning and Advanced), Jazz Arranging, and Jazz Fundamentals (a course designed to develop basic skills in novices). Other duties included conducting the Large jazz Ensemble, coaching various small groups, and overseeing numerous student concerts. He was a private woodwind instructor at Phoenix Arts Magnet High School. He taught 2 years at Northeastern Illinois University, where he also studied Music Education from 1996-1998. Brian played numerous Broadway show performances including A Chorus Line, City of Angels, and Will Rogers Follies among others. He played the circus and at the 1996 Democratic National convention in Chicago, IL. Brian has also performed with Classical Groups such as the Ravinia Festival Orchestra, Grant Park Symphony Orchestra, Phoenix Symphony, Phoenix Festival Orchestra, and Rockford Symphony Orchestra. Returning to Chicago in the mid 1990’s, he played with the Chicago Jazz Orchestra, the Chicago jazz Ensemble, The Steve Cooper Orchestra, the Del Bergeson Orchestra, to name a few. He joined PM Music Center as a wood wind repair technician for 17 years and was a member of NAPBIRT. An avid baseball fan, Brian was always rooting for the Red Sox and White Sox. He was a sports fan of basketball following the Boston Celtics and the Phoenix Suns. He also loved college basketball. His hobbies included listening to good music, weather, cooking and eating, and nature watching. His Family would like to thank the many doctors and nurses at Joliet Oncology-Hematology Associates, Ltd, who helped him with his struggle with cancer, especially Dr Suh. A Memorial Visitation will take place from 1:00-6:00pm with a Memorial Service held at 1:30pm on Saturday, February 2, 2019 at Overman-Jones Funeral Home & Cremation Services 15219 S. Joliet Rd. Plainfield, IL 60544. For those wishing to leave a lasting tribute to Brian’s memory, donations to either Joliet Area Community Hospice at 250 Water Stone Cir. Joliet, IL 60431, www.joliethospice.org or Joliet Oncology-Hematology Associates, Ltd. At 2614 W Jefferson St. Joliet, IL 60435, www.jolietoncology.com would be appreciated. To send flowers or a remembrance gift to the family of Brian Sjoerdinga, please visit our Tribute Store. "Email Address" would like to share the life celebration of Brian Sjoerdinga. Click on the "link" to go to share a favorite memory or leave a condolence message for the family.